The Gautama Buddha, offered Deity Sumana, some locks of hair. He placed it in an urn as a valuable Relic in the Mahiyangana Stupa. the Buddha’s second visit was to Nagadipa, in the Jaffna District. 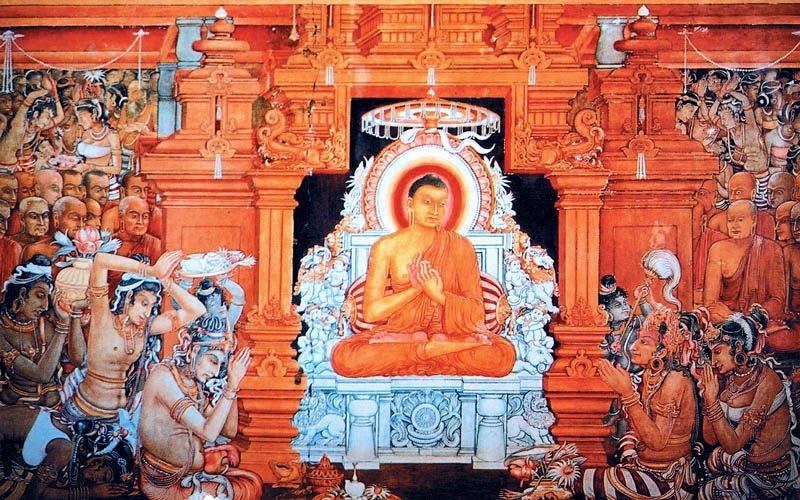 The Awakened One, Buddha, visited Nagadipa, to settle a dispute between Mahodara and Chulodara, uncle and nephew respectively, who were about to wase war, to gain the ownership of a gem studded thrine. Buddha, saw this and arrived in Nagadipa, emphasizing the value of harmony and ill-effects of hatred and settled the dispute without blood-shed.